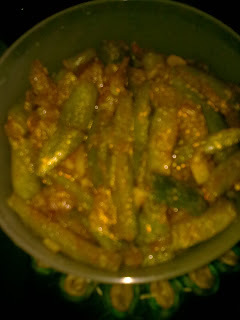 Ivy gourd or gherkins is the english name.It is known as Tendli/Tindora/Kundri in konkani/hindi/bengali respectively.There can be a different prepartion of ivy gourd without onions and garlic, but I prefer this recipe as I like it this way. Wash the ivy gourd well and cut it into vertical pieces(thin). Chop the onion,garlic and tomato finely. Cut the green chillies slit. Add the chopped onion and garlic to it. After the onions saute, add the chopped tomato. 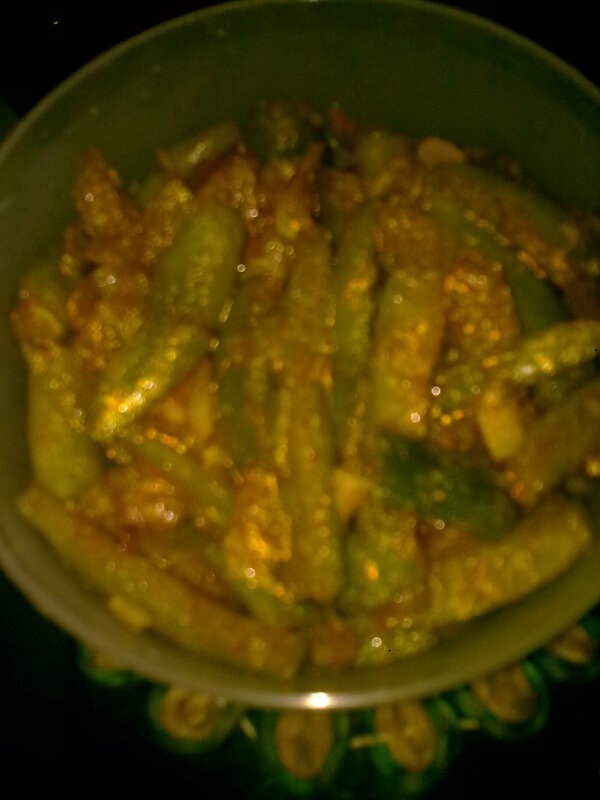 Add the cut ivy gourd and close the lid and let it cook. After 5 min add salt,red chilly and haldi powder to it.Also add a pinch of sugar. Again close the lid and let it cook in the steam. After the vegetable is partially cooked in steam(it takes some time for ivy gourd to cook in steam)add water to it and let it boil. Check if the veg is properly boiled, if not add little water again till it cooks. Note - Potatoes can also be added in this recipe if you wish .